Bactomatik Rex is a specific fertilizer for automatic Marijuana plants, it greatly boosts the root growth and Marijuana plants in general. The Bactomatik Rex fertilizer gives to Cannabis plants asolid and reliable supply of fertilizers and stimulants for the root growth. 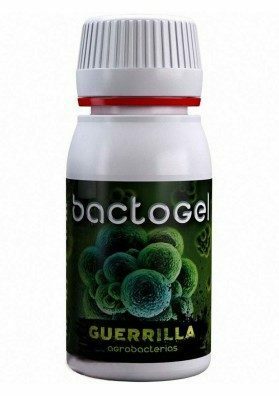 Bactomatik Rex includes millions of beneficial bacteria for the substrate where the Marijuana plants are grown thus creating a very beneficial microscopic life. Use Bactomatik Rex to obtain fast-growing, high-yielding, vigorous plants and bumper crops of impressive buds. Apply 50 grams for 20 liters of water; if you want to use it several times, apply 2 grams per liter. Available in packages of 10 grams.